Wow! 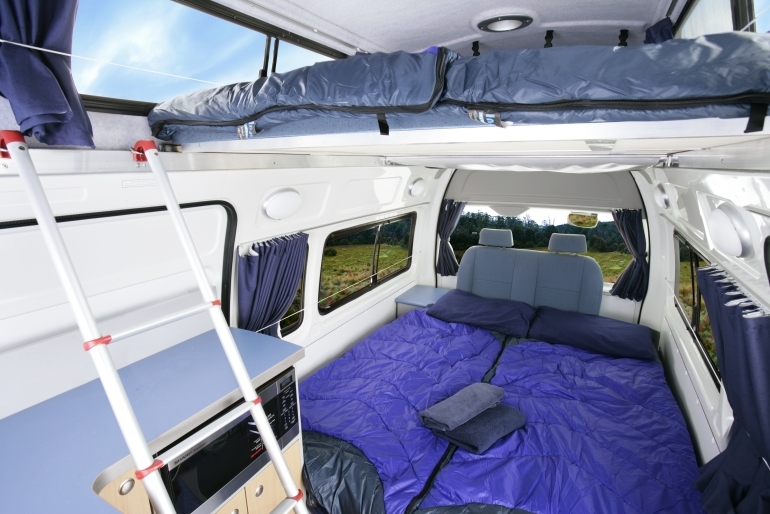 This 4 berth campervan is great if you have four people travelling, but don’t need a toilet and shower. 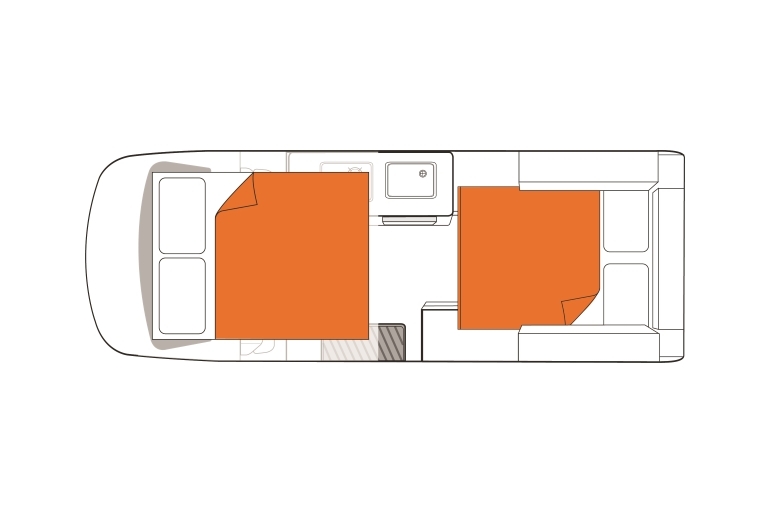 Very light and airy with huge beds and packed with features to make your journey a safe and comfortable one! Toyota Hiace Super Long Wheel Base, packed with features to make your journey a safe and comfortable one. Comfortably sleeps 4 adults in two double beds. 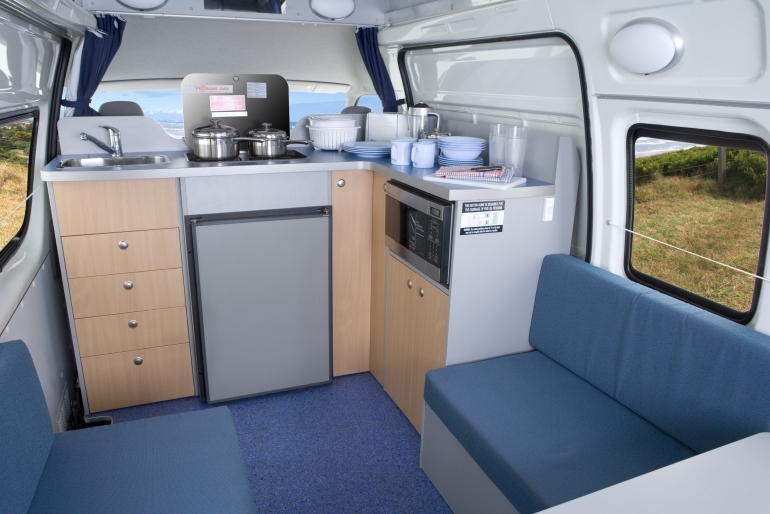 All the kitchen basics you need, with U-shape dining or outdoor table & CD Radio. 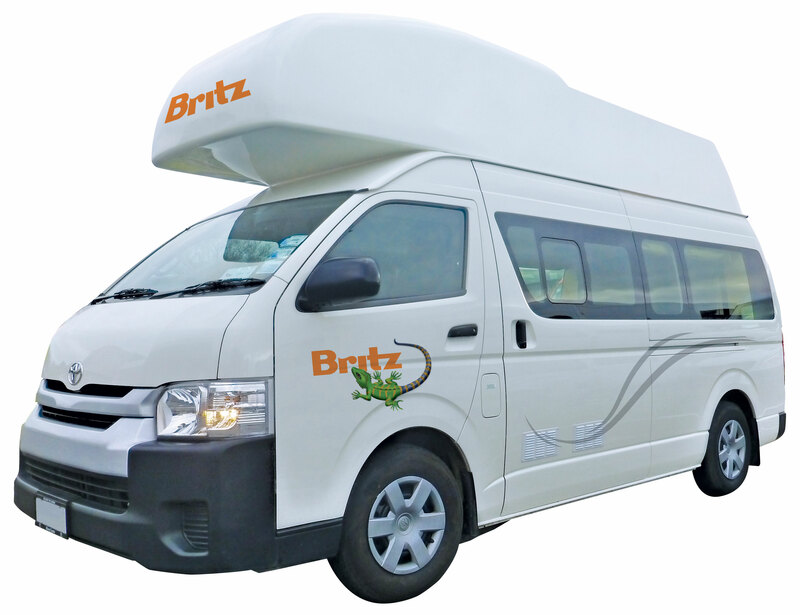 Actual vehicles may vary according to year of manufacture and availability but your vehicle will be suitable for the required number of persons and have similar specifications to those listed. 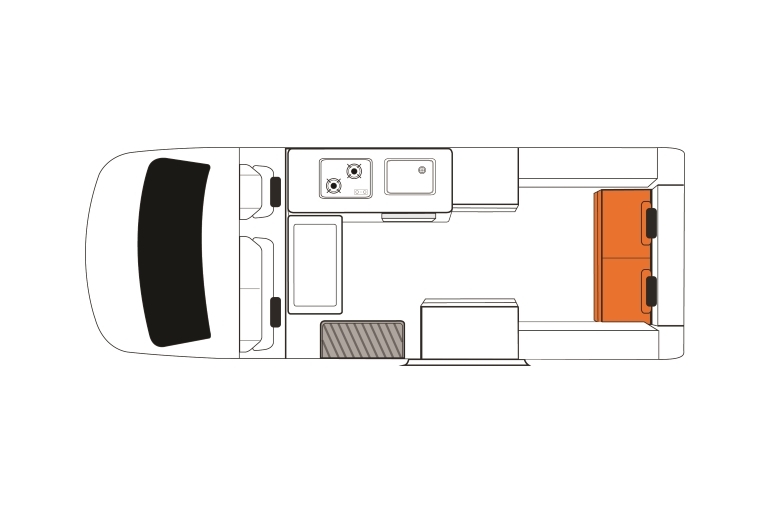 Specific vehicle layouts or models/makes cannot be requested. ++Based on vehicle manufacturer. This may vary subject to the use of air conditioning, temperature or terrain. 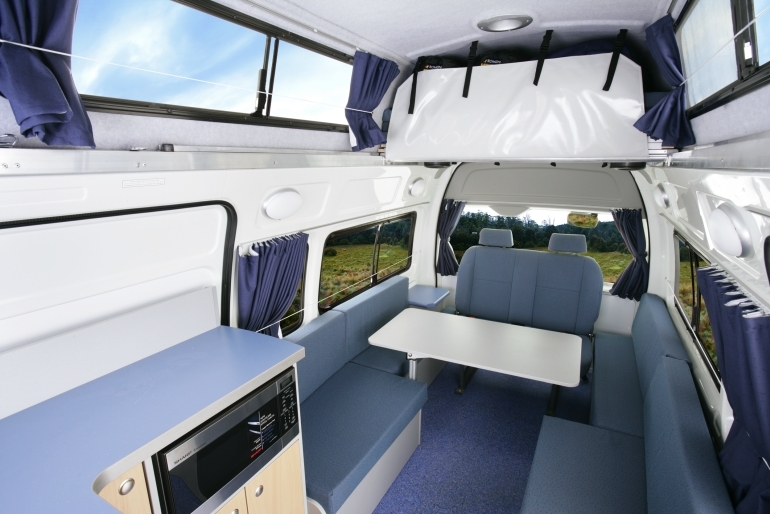 NOTE: all vehicles that feature air-conditioning / heating and/or microwave in the rear cabin must be connected to 240V main power for this to function. This vehicle has positioning for a total of two child restraints. Two baby seats (three years and under) can be fitted to the rear forward facing seat with an anchor point. OR two booster seats (minimum four years of age) can be fitted to the rear seat with a lap belt and additional harness.